Trinity Blood is a series of Japanese light novels written by Sunao Yoshida with illustrations by Thores Shibamoto and originally serialized in The Sneaker.These anime cosplay costumes are all from Trinity Blood.These Trinity Blood Cosplay Costumes can be bought in our cosplay shop.Also,our website provide wholesale cosplay costumes for your cosplay show and other activities. 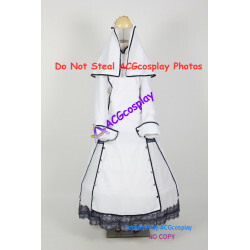 Trinity Blood cosplay There are 4 products. costumes in pictures are all included,made of nice quality fabric with good tailor work,also include the headdress.